NOW OFFERING CAKE AND CUPCAKE DECORATING CLASSES! Cake Decorating Class ($40 - $45): Join the fun with our Cake Decorating Classes! Each class includes a beverage and a tutorial on designing your own 6-inch cake. Choose between THREE beginner designs (taught by our staff) and take your masterpiece home. No experience is required. This a beginner's class meant to teach the basics and provide a fun night out. 12 spots are available for each date (call for further details). 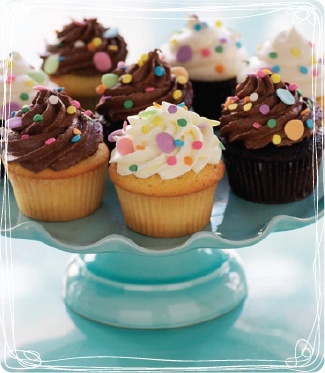 Kids' Cupcake Decorating Class ($25 - $30): Calling ALL kiddos! We're rolling up our sleeves and making one heck of a mess (and a lot of fun). Each class includes a beverage, a chef's hat to decorate, and a tutorial on filling, frostings and decorating four cupcakes. General age requirement is 6-14-years-old (call for further details). Looking to book a private class with some friends? No problem! Give us a call to ask about details and pricing. Call us at (515) 244-0778 to check available class dates and reserve your spot!